Our Sunday school meets at 10.30am, except for the 1st Sunday of the month, when the children attend the All Age Service. Children are involved in arts and crafts relevant to the bible teachings and then return to church in time for Communion followed by “show and tell”. The Sunday school leaders are enthusiastic and are looking at ways to encourage new participants. We are in the process of building up the children’s area within the church; we are building a bank of books, story aids and artefacts to aid both the teaching of Sunday school and Messy church. We also draw on the Diocesan resource loan system. There is strong support from the PCC to invest in new resources and training to aid Sunday school/ Messy Church and Children’s Ministry. 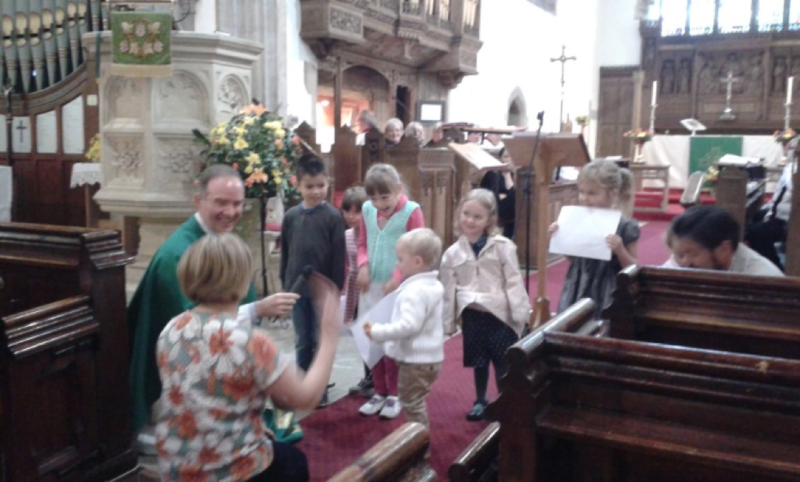 Messy Church began in 2013 with a “start-up grant” from the Diocese and has gone from strength to strength. 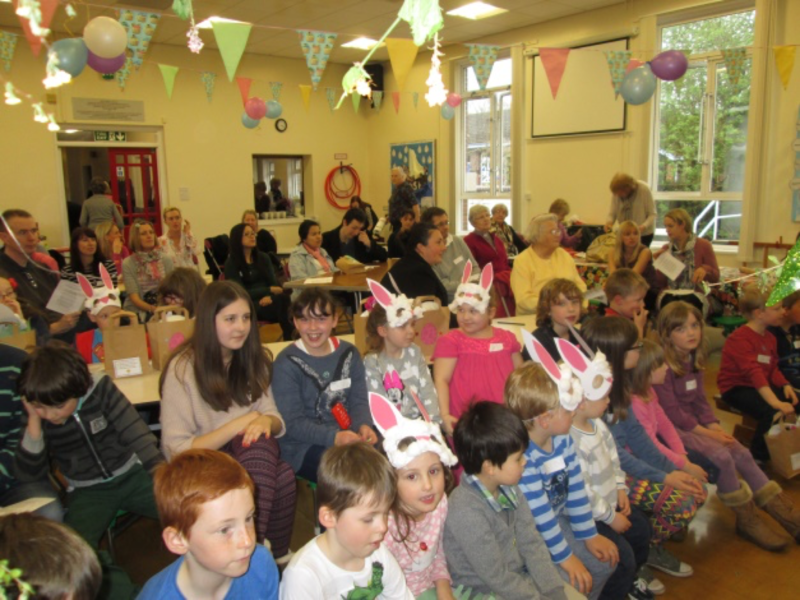 Messy Church meets monthly on the 2nd Sunday of each month. Due to the restrictions of the church building it is held in Charles Williams Primary School. This setting proves to be warm and welcoming to the families who attend. A very enthusiastic team of 12 lead and coordinate the activities. Monthly planning meetings give the opportunity to share ideas and talents on a wide variety of themes. The team shares a passion and a clear commitment to developing spiritual growth and understanding of the young people in the parish. At its heart, Messy Church aims to create the opportunity for all ages, children, parents, grandparents and carers to have fun, express their creativity, experience worship and then sit down together to enjoy a meal all within a church context. It is an opportunity to spend quality time together whilst engaging in hands on activities and exploring Bible Stories and value based themes. The format is very informal and relaxed with no pressure to attend a more formal church service or setting. Messy Church is a fantastic vehicle of sharing faith with non-church families and we are excited about its growing potential. A shared prayer tree provides a valuable connection between the congregations of Messy Church and St Cadoc’s Church, where it is used in more formal worship. The two congregations came together recently to celebrate the Queen’s 90th birthday. 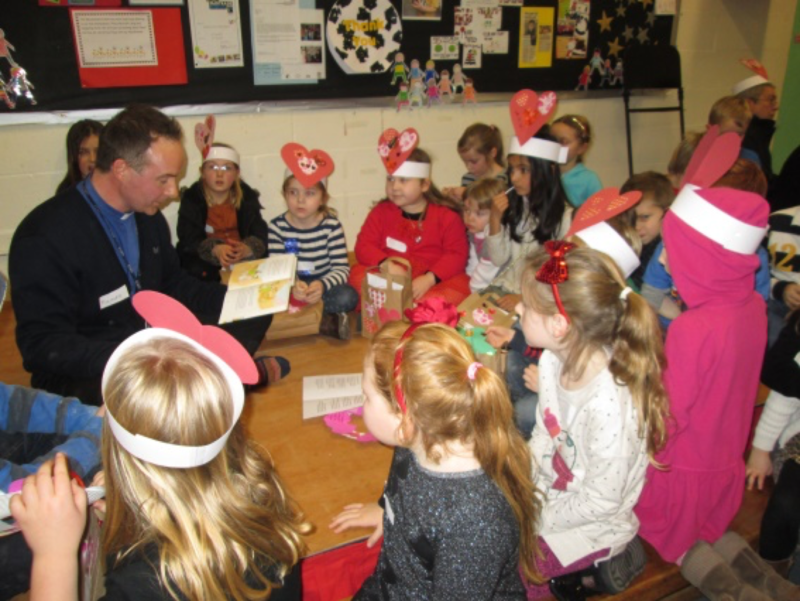 Our challenge for the future is to ensure Messy Church has the ability to grow and cater for the needs of Key Stage 2 children and teenagers.